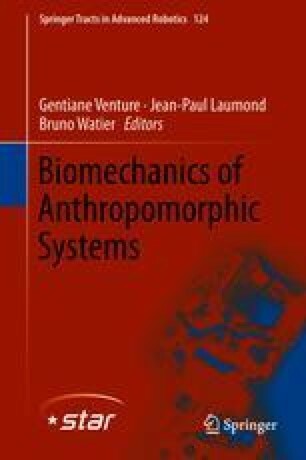 This chapter presents a new model of the physical process of balancing in a vertical plane, in which the essential parameters of a robot’s balancing behaviour are distilled into just two numbers, regardless of the complexity of the robot. It also presents a balance control system based on this model, and a simple method for leaning in anticipation of future movements. The result is a control system that requires relatively little computation, yet allows a robot to make large, fast movements without falling over. Furthermore, by seeking to control the balance model only, instead of trying to control the whole robot, one achieves a separation between the potential complexity of the robot’s complete equations of motion and the simplicity of its balancing behaviour. The chapter concludes with a simulation study to illustrate the kind of performance that can be achieved, and a brief discussion on how the theory can be extended to 3D.